Whether you’re fresh out of school and moving into town for your first Toronto job, or moving closer into the downtown to take advantage of the restaurants, the culture, and the scene, it’s time to rent a condo in Toronto—so, where to start? 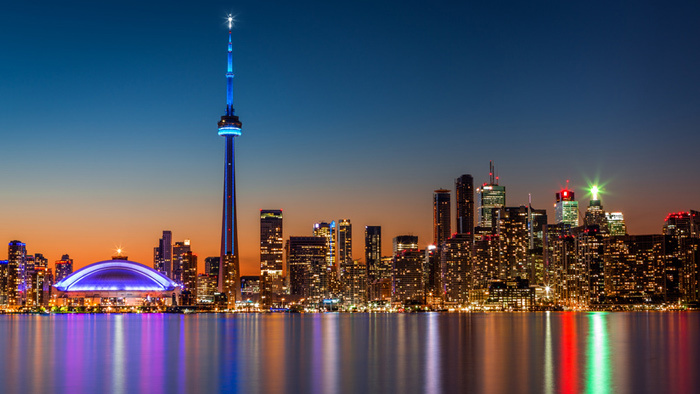 With more than 29% of condominium units in Toronto being rented out to tenants, and condos making up the vast majority of the city’s rental stock, there’s a lot of selection on hand—and more than a few choices to make. Here are six tips to make Toronto condo rental easy! Toronto’s been infamously called a city of neighbourhoods—and nothing could be more true. The secret to the big city with a local vibe is the diversity of each area of the downtown, which means a markedly different living experience depending on what side of the city you’re on. So the first step in planning a Toronto condominium move is to draw the map of where you want to live. What’s your neighbourhood? As well as measuring your commute to work—easy with Google Maps or the TTC Trip Planner—look at where you naturally gravitate. Which subway stops or neighbourhoods feel like home? Where are you always excited to go? If you’re moving in from out of the city, do a little research on where people with your interests put on shows, go to talks, spend afternoons in the park, or join the local jogging club. A neighbourhood that’s already got the foundations of all the services you use and places you love is more than likely to grow on you even more. What’s more, living near the places you love saves you TTC or gas money, builds nice, strong legs, and lets you capitalize on Toronto’s fabulous citywide walk scores. Now that you know where you want to be, how much condominium space will that budget get you in the neighbourhood you love? Do you definitely need a separate bedroom and a kitchen that can handle your baking sprees, or with your busy lifestyle, will an open-concept micro-unit do? If those hot spots are priced out of your reach, look into neighbourhoods at the next subway stop over or a few city blocks away, where there might well be more affordable homes to be found. According to the National Post, areas with a great deal of recent condo development will also start out more affordable—and “appreciate rapidly”—so it’s possible to stretch your budget by getting in under the wire as the first or second occupant of a condo space. Even with more rental stock coming online every year, downtown Toronto’s been in a housing shortage for a long time—and with more and more Millennials in the work force, downtown Toronto condos are in high demand. Having your rental information—letters of employment, references, and banking information—well-organized before going to your first viewing is a great idea in the current high-turnaround, quick-rental market, where rental units can receive multiple offers in their first few days on the market and be gone inside a week. Start your search about two months before your hoped-for move-in date, which is when most Toronto units come on the rental market. That way, you’ll have a buffer to check out more than the first unit you see, without the stress of a ticking clock. Many downtown condominium units are rented out by individual owners—either as investment property or as they move on to larger homes—and just like a job interview, a good personality fit matters. Your landlord is the person you’ll be working with to make sure leaks are fixed, appliances stay in good repair, and any issues that come up are resolved to both your satisfaction. Ask yourself: Could I work well with this person to solve a problem, if one came up? If not, that might be a sign of trouble down the line. Likewise, make sure the face you’re bringing to a rental showing is of someone who’s great to work with too. It’s hard to trust a home to a stranger sometimes, and there’s no better way to alleviate that concern than bringing your friendliness, your reliability, and your love for the space. Be yourself, but make sure to bring your best self. Like any busy rental market, there are unfortunately a few scams out there looking to make a quick buck from tenants worried about finding a great place to live. Make sure your listings are acquired through an accredited source, beware any potential landlord who has lots of excuses for why they can’t let you into the unit at this time, and never pay a deposit or date a cheque for before there’s a signed lease—and keys—in hand. When you’re renting in a condo, you’re renting more than the unit you might call home. Half the draw of a condominium rental is the amenities you’ll get access to: exercise rooms, swimming pools, a concierge desk, storage lockers, rooftop gardens, party rooms, TV rooms, and more. Don’t be shy when viewing your potential new living space: Ask about the amenities, and if there’s time, ask to see them. They’re part of what might be your home, and they’re just as worthy of inspection as the size of the bathroom, the view, or the insulation. Also check out the condominium building’s rules well in advance. As a tenant in the condo, you’ll be expected to know them—and abide by them. All that said, if the legwork in finding your perfect downtown Toronto condo is daunting, there’s a great deal of benefit in hiring a rental agent or rental management company to help you in your quest for the perfect downtown condo unit. It’s usually free for the tenant—the landlord pays the agent fees—and can put your mind at ease. Rental agents and management companies not only have access to not only internal listings, but listings on MLS and condo rental sites, and have stable relationships with condo buildings in certain areas. Best of luck, renters and dont forget to visit www.DelRentals.com!